Support - Artillery. Cost: 5. Before resolving this die, you may exhaust one of your characters. If you do, you do not have to pay the resource cost on this die. 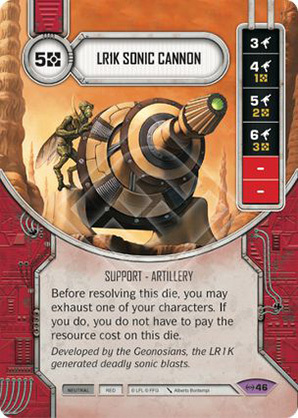 Developed by the Geonosians, the LR1K generated deadly sonic blasts.